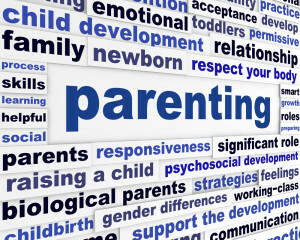 The topic of parenting encompasses the way in which we provide the blueprint for the next generation. Cultural differences, socio-economic factors, family opinions will all affect how we parent our young and this can seem particularly daunting. This section discusses common parenting concerns, in otherwise healthy functioning children. Parenting is not easy. It requires patience, calmness (at least on the outside) and the rewards will take time. Our World nowadays consists of fast fixes, easy solutions, and information at our fingertips, and advice from social media, whether we want it or not. Applying this to parenting is destined to fail. Often I have heard parent’s lament that they have ‘tried everything’ and ‘nothing works’. So lets look at this ‘everything’. Advice from facebook – 84 likes on the tantrum post and 84 opinions. Advice from alternative practitioner – try gluten free diet. Advice from website number two – needs lots of hugs to avoid attachment disorder caused by above. Advice from television show different channel – Need to allow the child freedom to blossom. Advice from alternative practitioner number 3 – His bacteria is out of sync and so we need a stool analysis – cost you $300. Seriously this list is not made up. They are all things that parents have been told and sold. If only it were this simple. So let’s apply some common sense and evidence to try and simplify parenting as much as possible. What are the factors that are important in Behaviour ? The nature of a child. Every child has a unique personality that will influence behaviour. For instance some children are confident, relaxed and have control over their emotions. They are independent and there is little need for parenting. The parents of this child will not be reading this! On the other hand some children demand attention, are somewhat dependent, anxious, can lose control and will require extraordinary parenting. These latter children are the ones that we will mainly deal with. These are the kids that have problems regulating their emotions and teaching them how to manage these emotions is one of the goals of parenting. Relationship problems – if the adult relationships are fractured, this will undermine the security of the child. All parents at times will have disagreements. But it is one of the more significant childhood memories to see parents or adults have an argument or disagree. If there needs to be conflict resolution between adults do this when the child is not present. Poor role model– Providing children with a role model for managing challenges and emotions and day to day situations is also essential. As a parent if your mental health is suffering then parenting effectively is impossible. Please take time to watch this video which emphasizes role modelling behaviour. It is called Children See Children Do. Inconsistent or absent boundaries – part of providing a safe environment is ensuring adequate nutrition, sleep and appropriate rules. Clear limits and boundaries ensures a secure safe feeling, even though a child may push these boundaries. Parents will often model parenting on their own experiences which is not always ideal. The styles of parenting often run along two dimensions. The first centres around control, the second is around warmth. Control refers to the level of direction, boundaries and limits that are placed on a child’s behaviour. Warmth implies guidance, understanding and affection. The right balance of control and warmth has been found to be the most effective form of parenting. Problems arise in families where parenting is not balanced. For example an authoritarian style of parenting will be too controlling with little warmth. The opposite of this means lots of warmth but little boundaries. Parenting that has virtually no warmth and no boundaries is the least effective. Looking at the above factors, the environment and the parenting style are the two variables that you as a parent have control over. Firstly assess your current parenting skills. See where you sit regarding warmth and control. Spend some time reflecting on your parenting and really assess whether you are someone who tends to parent ‘on the negative’ ie when something goes wrong. If you find yourself angry, negative, and often raising your voice or smacking then it definitely time to take stock. This where the most important emotions to get under control are your own. The second stop involves setting some goals. There should be long term goals and short term attainable goals with a journey joining these. The long term goal may well be becoming happier and more functional as a family, so there is less conflict. The short term goal may well be lessening tantrums, or fighting amongst siblings, or simply getting ready for school without yelling or cajoling. Pick the most challenging behaviour first. This is the nuts and bolts. This is about using education to help the child to achieve the goals. This is how the adult world exists and so this is in a way great preparation for that world. Positive rewards for appropriate behaviour should be the cornerstone of parenting coupled with appropriate limits for inappropriate behaviour. This philosophy can work for all age groups from around 18 months to 18 years and beyond! So pick your age group and hopefully the advice will allow you to know what to do, which will lessen parental anxiety and help regulate your own emotions as a parent. Improving parenting takes time. 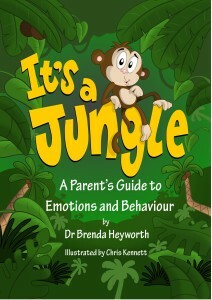 One of best books I have read on parenting this agegroup is called ‘Its A Jungle‘ and is written by Dr Brenda Heyworth, a child psychiatrist. In her book she talks about emotions and the rules of the ‘jungle’ and explains simply how to manage children who provide very challenging behaviours. One of her tips inolves the 5 or 24 solution. When it is clear emotions are boiling over or particular behaviour has occurred the child has the choice between time out for 5 minutes in his or her room or losing ‘something of value’ for 24 hours. The key to this is the delivery being analagous to a soccer referee. Non negotiable, calm and when the time is up there is a ‘fresh start’.